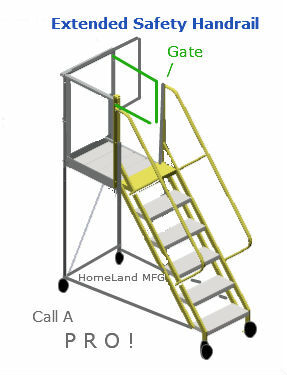 Custom Ladders are used for many special applications. 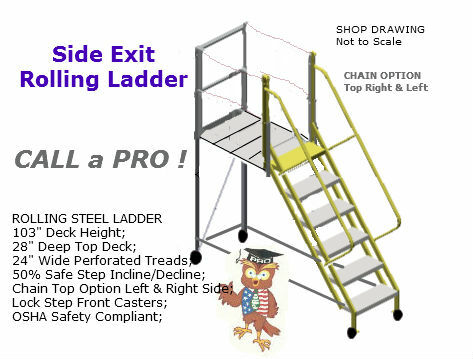 We provide a Custom Ladder 'shop drawing' and quote on your project within 24 hours. 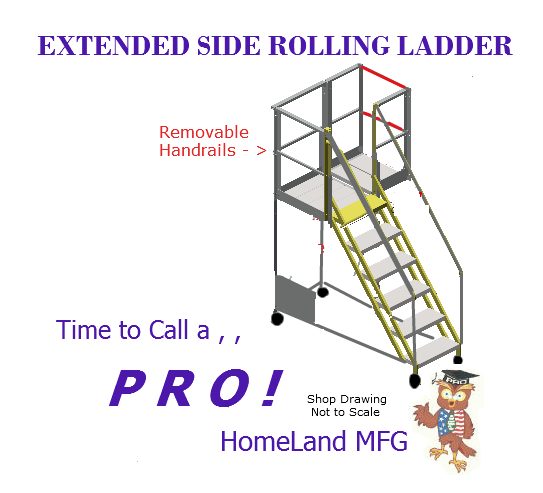 A drawing will help develop any concept into a finished product. 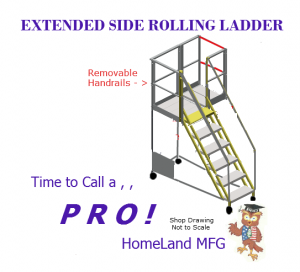 Our drawings will highlight your project and enhance your presentation. 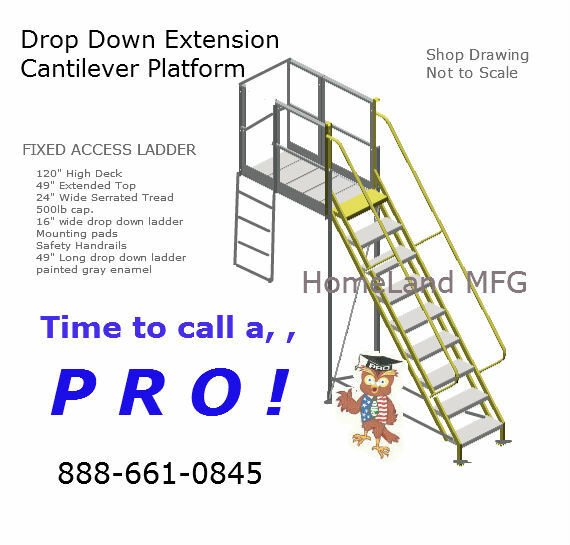 Please contact us by phone so we can discuss your Custom Ladders project. 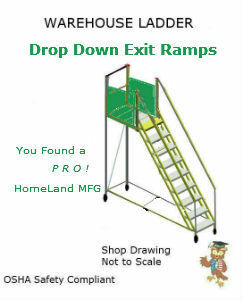 You have Found a PRO ! 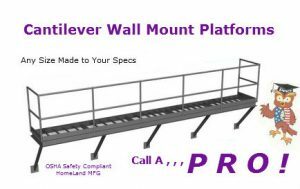 Removable Steps Allow Access to the Lower Cantilever. OSHA Safety Compliant. 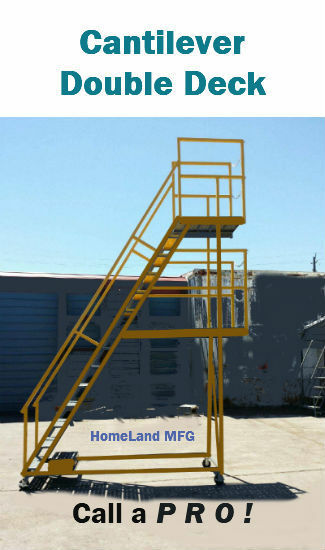 Custom Ladders can be Aluminum, Steel, or Galvanized. 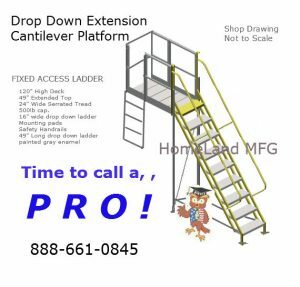 Cantilever Ladders can have wheels or be fixed to a mezzanine. These ladders can also have bottom 'support' legs or have a 'counter balance.' 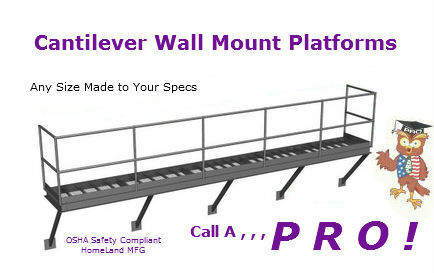 OSHA Safety Compliant.